The teacher who asked that we not identify him by name or face said he called the student's mother from his classroom phone as he had done the day before because of the student's bad behavior. A 14-year-old high school student is now facing charges after police say he attacked a teacher. 2 On Your Side's Claudine Ewing spoke with that teacher. As students were being dismissed Thursday, around 3:15 p.m., a 14-year-old freshman at McKinley High School, according to a teacher, was acting up in he hallway because his cell phone was taken away. Teacher: "While I was talking to the mother she asked to speak to her son. He talked to his mother very shortly and then handed me back the phone and started cussing at me, yelling at me. as I was going back to sit back into my desk chair he body slammed me to the ground and I'm not sure what I landed on but my back was severely cut open." Claudine Ewing: "How are you feeling? Teacher: "Not too good, very distraught. This is my career, something I love to do teaching students and something you never expect to happen in your career." Buffalo police arrested the student at the school. the 14-year old was charged with felony assault and harassment, which is a violation. 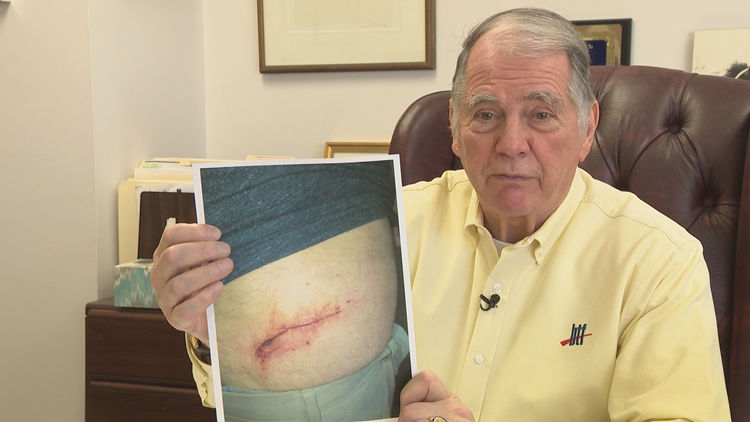 Teachers Union President, Phil Rumor, showed 2 On Your Side a picture of the teacher's injury. Rumore says the student also told the teacher, "...come to the block we got guns." The teacher has been at McKinley for several years and has noticed a change. Teacher: "The culture of the school has drastically changed since Principal Barton was removed from the school and he new culture and leadership is creating a culture where teachers and students feel unsafe." "This is one of the first schools that we have ever had that the teachers took a vote of no confidence because of what was going on in that school," said Rumore. Rumore says the district has not done anything about the current principal in place and he says something must change.